Why Hire an Accessibility Professional? Door Openers - and Closers! APA is a group of Professionals dedicated to accessibility in all aspects of the physical experience in the built environment for persons with disabilities. APA offers related education on a regular basis during the year which is open to members, as well as the public. Attend in person or via webinar. Continuing Education - APA is an approved provider with the American Institute of Architects (AIA/CES, #G583), Florida Department of Business and Professional Regulation (DBPR, Provider# 0007855 / license# PVD312 ), Texas Department of Licensing and Regulation (TDLR, #1521) and a preferred provider for the International Code Council (ICC, #1321). APA provides pre-verified ACTCP credits for the ADA Coordinator Training Certification Program (ACTCP). We provide courses of study and award an Accessibility Standards Basics completion, as well as Designations for APA-ADA Specialist, APA-ADA Assembly Specialist and APA-ADA Transient Lodging Specialist, when all criteria are met. Members/guests can meet the CE/LU requirements of numerous organizations by attending APA Training, and verifying with which organizations a course has been registered. 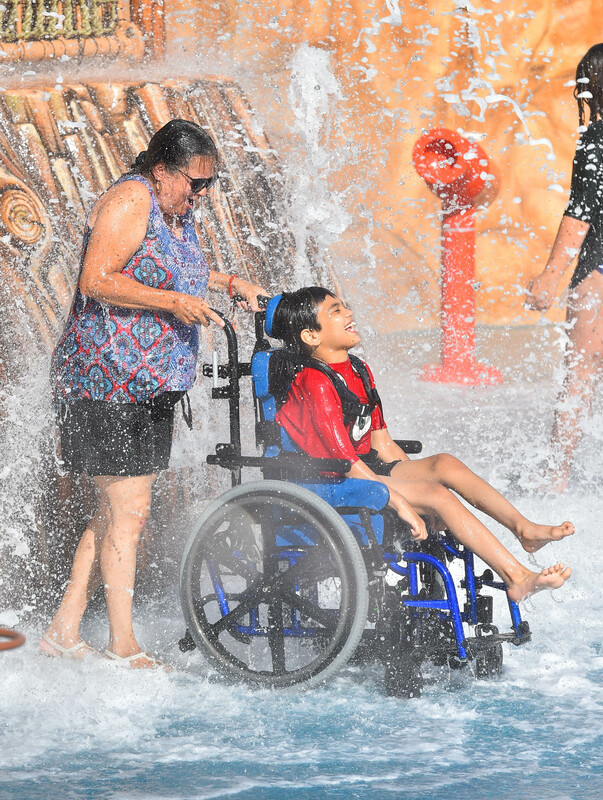 More information about these unique parks designed with special-needs individuals in mind can be found here: www.MorgansWonderland.com. Complying with the Americans with Disability Act (ADA) and state-specific building accessibility codes and requirements can be a complex and challenging process. An APA professional can help you smoothly navigate through every phase of your new or remodel project to achieve accessibility and avoid any costly headaches arising from noncompliance. Whether it’s a public building or privately owned structure leased or occupied by government agencies, a place of public accommodation, or a commercial facility, an APA member can help with accessibility planning and compliance. Search our Find a Professional page for APA specialists. Door Openers – and Closers! When was the last time you had trouble getting in the front door of a business? You may not have noticed a few pesky steps or an extra bit of exertion to enter the building. But, for someone in a wheelchair, or a frail, elderly person, it might as well have a “Closed” sign on the door. Luckily, there is an organization that helps individuals gain access to commercial entities by helping builders, architects and engineers understand the rules and regulations of accessibility. 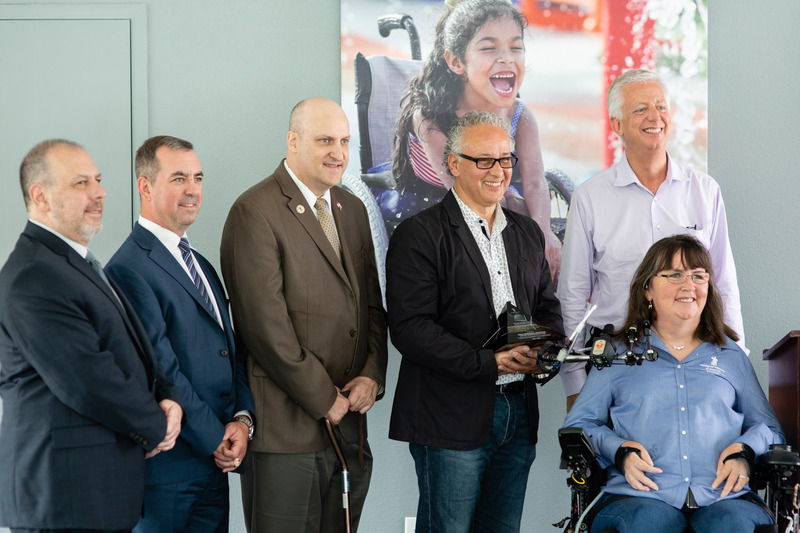 Guiding this process from the ground up, the national organization, Accessibility Professionals Association (APA), has members who can help a building owner design a structure that intuitively accommodates many types of disabilities. Architects and engineers can take advantage of classes and conferences offered by APA that sort out and streamline standards provided by the Americans with Disabilities Act, which is commonly known as the ADA. This landmark legislation, signed into law on July 26, 1990, prohibits discrimination and guarantees that people with disabilities have the same opportunities as everyone else. Despite its widespread acceptance, violations occur regularly. For example, in Texas, Registered Accessibility Specialists (RASs) are licensed by the State to ensure buildings have had their building plans reviewed and inspected to ensure compliance with accessibility regulations. These rules apply not only to new buildings but to buildings which undergo substantial renovations. Savvy business owners are wise to keep their doors wide open to this growing group of people with disabilities. The U.S. Census Bureau estimates that nearly one in five people have a disability. And, that number will reflect the growing number of baby boomers who will enlist the help of canes, walkers, and wheelchairs as they pursue an active lifestyle in retirement. Research has shown that adding simple touches like ramps, better lighting and larger signage, which are used by many, is appreciated by many and often helps create better overall designs. Is there a wheelchair-accessible entrance? Is there a wheelchair-accessible elevator? For those who may not understand the implications, Google furnishes a description for each of these questions. While rather basic, users are able to refine the information with comments, even noting helpful details like the number of steps, location of nearby elevators, or restroom size. Thanks to a brigade of voluntary contributors, information is added daily about transit systems, parks and trails, local eateries and businesses. Ideally, Google hopes to add Street View imagery of transit stations so that individuals with many types of disabilities can gauge their level of access and better plan their trips. But, for the 12 million (and counting!) places available via the maps, noting accessible features will take time. Google officially rolled out the accessible maps for London, New York, Tokyo, Mexico City, Boston, and Sydney this spring. However, anyone can add information for other locations. It is also easy to become a local Google Guide, and the company encourages Meet-Up events to connect like-minded guides who see the benefits of marking routes of all sorts for the full use of all people. For ambitious trail markers, Google loans out its Google Street View trekker cameras to organizations or municipalities that want to show the “street view” type equivalent off-road. For many, the device enables armchair travelers to skip the hike and enjoy the scenery digitally. Google notes that some 65 million individuals use wheelchairs. While this limited information about wheelchair access may not help everyone navigate, it opens the doors for users to participate and help make the world a little wider for everyone. The Accessibility Professionals Association (APA) held a successful Annual Conference & Expo in February featuring three days of national and local speakers and training. A Premium Sponsor of the APA Annual Conference, the Code Council spoke with attendees on the latest code publications and documents during the expo. Courses offered by the APA at national and regional training events receive ICC continuing education credits. ICC members are welcome to join next year's APA Annual Conference being held Jan. 30–Feb. 1, 2019, in Austin, Texas. To read more from ICC eNews. To learn more about the International Code Council. Board Members Paul Glenn and Carroll Pruitt promoted APA and its members at our booth on June 21 and 22. We'll hear more about this in our September newsletter!